What is a Jane's Walk? A Jane's Walk is a series of neighbourhood walking tours named after influential writer and urban activist Jane Jacobs. The tours encourage people to rediscover their neighbourhoods, as they celebrate the local architecture, culture, and history of a community. 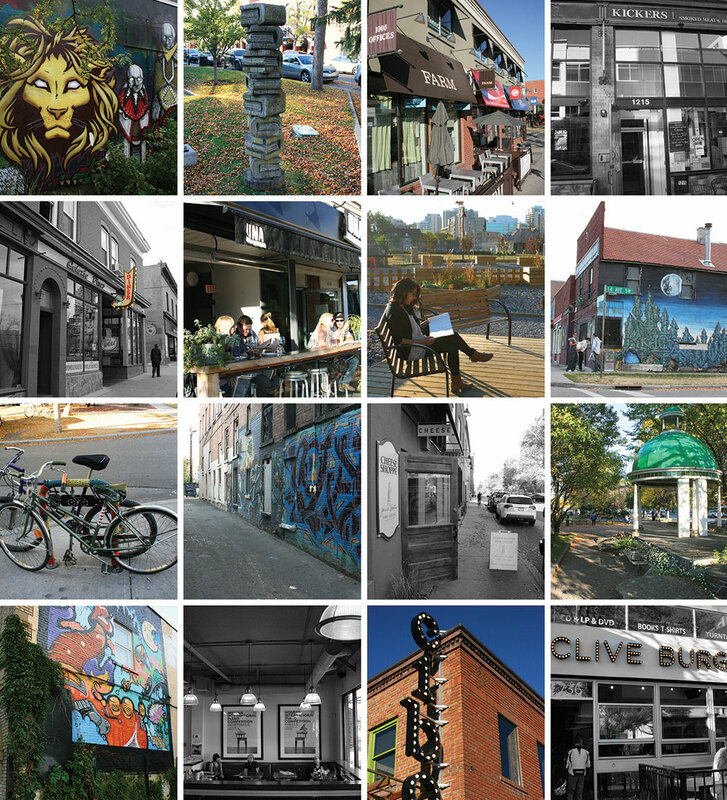 Walks are held in cities accross North America, with each tour as unique and different as the neighbourhood and the person who treasures them. The Beltline Jane's Walk, created by EVDS students Sophia Juan and Ben Bailey, focus is on living urban. The destinations are a collection of cultural nodes and artistic interventions that help contribute to the urban vibrancy of Beltline. This tour is by no means complete; the Beltline is rich is history and urban life waiting to be discovered. We encourage everyone to make those discoveries and experience what truly makes Beltline a wonderful place to live. Click here to enjoy the tour!